Lisa is a serial entrepreneur, CEO and Founder of SheWorx, the leading global platform empowering 20,000+ women to build and scale successful companies through actionable business strategies and access to top investors. In just under two years, they have curated over 100 dynamic roundtables and summits and launched in 7 global cities, reaching over 20,000 entrepreneurs. 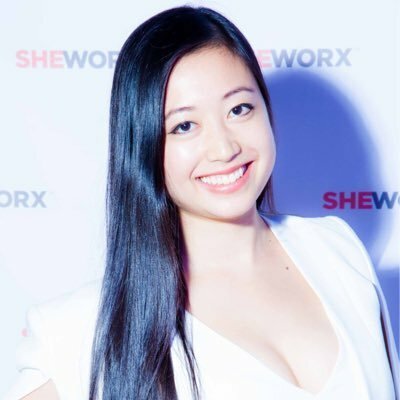 Wang has partnered with AWS, IBM, NeueHouse, R/GA and Silicon Valley Bank; SheWorx also collaborates with TechStars, Y Combinator and 500 Startups. She was one of the Top 20 Entrepreneurs to watch in 2017 and 2018 by CIO Magazine and inducted into the Forbes 30 Under 30 Class of 2018. Lisa has been a keynote speaker at conferences including the World Entrepreneur Forum, World Summit on Innovation and Entrepreneurship, Chief Innovation Officer Summit, and CES. Lisa is a columnist at Forbes driving the movement for gender parity in funding and championing a new model of leadership. She began her professional career as a hedge fund analyst on Wall Street. Previously, she founded a foodtech company incubated in Food-X, the world’s #1 food innovation accelerator. Lisa coaches entrepreneurs to recognize their innate strengths, and takes lessons from her years as an elite gymnast to talk about harnessing the power of “Enoughness” and “Antifragility” even at your lowest points. Lisa is a graduate of Yale University. For availability and speaker fees, please contact Lisa Wang’s speaking agent at Chartwell here, or call +1 972 385 1021 for U.S. inquiries or +44 207 293 0864 for international inquiries.